The Benny Chan Muk Sing directed, produced, Sean Lau Ching Wan, Louis Koo Tin Lok, Eddie Peng Yu-Yan and Wu Jing starred film THE DEADLY RECLAIM (NGAI SING CHI BA) earlier wrapped in Shaoxing. 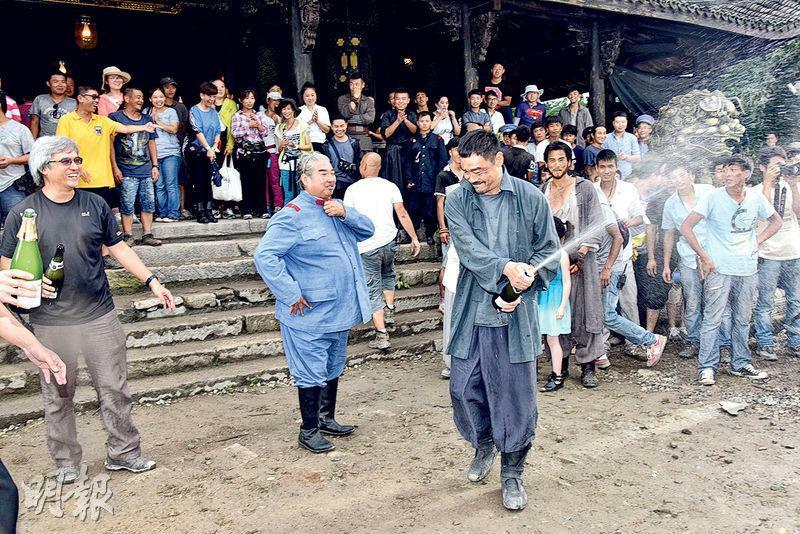 A champagne war erupted that day, the wrap's happy atmosphere affected the always cool Ching Wan as well, as he suddenly spray his champagne. No one on the team was spared. The team and the extras took the chance to get autographs and photos with the actors. Goo Jai and action director Sammo Hung Kam Bo turned no one away. Sammo even joked that he would charge 500 yuan for a photo. Chan Muk Sing suggested to use the drone to take a group photo. Aside from the director, the actors and the crew, around 500 extras were included as well. 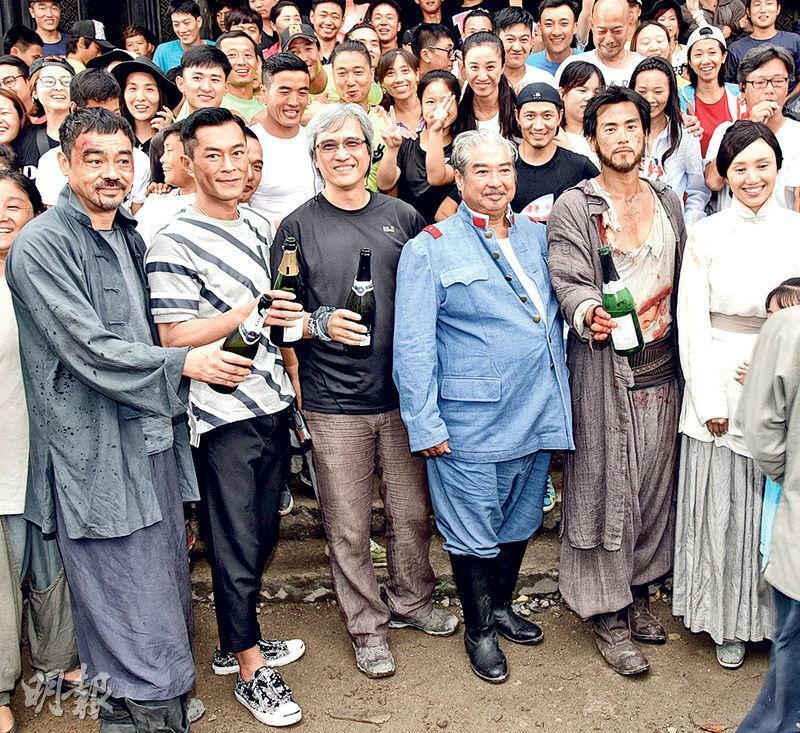 After the big group photo of almost 800 people, the actors' "jobs" were not completed; outside the make up room many crew members were waiting for them to take photos. The line for photos with Ching Wan and Goo Jai reached around 20 meters! A wrap banquet was held that night. Chan Muk Sing admitted, "It was quite sentimental, from the production start to the wrap it took around 100 days. During that period we had to overcome a lot of climate problems. Thank you to the entire team for your contribution, most importantly thank you Big Brother Hung Kam Bo for his presence so I could focus on the dramatic scene." Sammo thanked everyone for not wasting his time there and properly finish the entire film.